KLIA 2: Delay and More Delays? KLIA 2: Low Cost or High Cost Airport? Why Was KLIA2 Moved to A More Expensive Site? 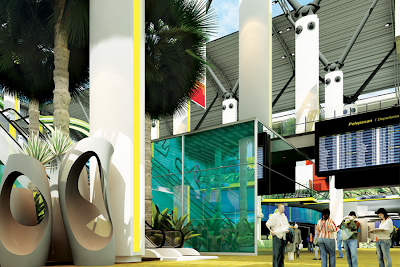 When will KLIA2 - the new "low-cost terminal" actually get completed? The building of a new Low Cost Carrier Terminal (LCCT) will be completed by the end of 2011 although its construction faced some delay, said Deputy Transport Minister Datuk Abdul Rahim Bakri. "The project's progress should be 15.5 per cent but right now it is 13.5 per cent. Based on the current status the delay is two per cent or 18 days," he said. Will that be the last and final delay? This is the design of the new KLIA2 "Low-Cost Terminal"
This is the "luxurious" interior of the new KLIA2 "low-cost terminal"
And another view of the "luxurious" interior of KLIA2 "low-cost terminal"
For comparison purposes, the cost of existing LCCT is RM108 million plus a subsequent upgrade costing RM124 million for the total cost of RM232 million. The existing LCCT doesn't have to add the cost of new aprons (where planes taxi and park) and runways, but the sheer gulf in cost difference tells you how MAHB has been spending its money. 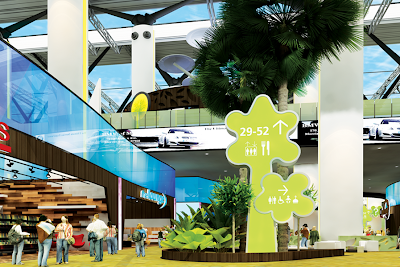 As a result of the new KLIA2, MAHB had to raise RM2.5 billion in sukuk loans in 2010. The Defence Minister, Dato' Seri Zahid Hamidi has said yesterday that he was willing to meet up with me to explain and clarify the purchase of the six second generation patrol vessels or "littoral combatant ships (frigate class)" (LCS). The issue surfaced again since the price tag for the war ships has increased from RM6 billion announced on 5 February this year, but has since increased 50% to RM9 billion this month. We have asked for the Defence Minister to explain the drastic increase, especially since even the initial RM6 billion price tag had already attracted controversy and required Dato' Seri Zahid to provide an explanation in parliament. In defending the RM6 billion deal in parliament, the Minister had claimed that these patrol vessels were no ordinary ships but were advanced warships known as "littoral combatant ships" (LCS). Datuk Seri Zahid had in March claimed that the LCS is "bigger and faster" and "it is also equipped with three-dimensional warfare equipment like cannons, missiles and torpedoes" which are able to take on jets, ships and submarines respectively. He argued that "with the rapid development of technology, the RMN would need an LCS with state-of-the-art equipment like the sonar system for submarine detection and anti-submarine torpedoes, which would help in the operation of the two RMN submarines to safeguard the sovereignty of national maritime areas." Since the RM6 billion price tag has already come with all the above "advanced" technologies to fight jets, ships and submarines, what else has the Ministry of Defence ordered to justify the additional allocation of RM3 billion? The price-tag of RM1.5 billion will certainly make our patrol vessels among the most expensive in the world. Instead of providing in open explanation, Dato' Seri Zahid had mocked me yesterday asking "Where does he get his figures? From Kua Kia Soong, the former DAP MP?" If he has bothered reading my statements, I've stated clearly that the figures came from the announcements made by Boustead as well as "authoritative" answers made by himself in the Parliament. The Minister will perhaps do well to stop relying on Papagomo as his chief intelligence advisor, who has to date provided the former with only half-truths and fictitious data. Pakatan Rakyat MPs, including Nurul Izzah Anwar and Dr Dzulkefli Ahmad are more than willing to take up the offer from the Minister to seek his clarification. However, he should not only provide clarifications for the above purchase involving RM9 billion but also the other mega-acquisition of 257 armoured personnel vehicles (APVs) costing RM7.55 billion this year. In his parliamentary reply to me on the APVs, he had claimed "no knowledge" over the details of the cost. The Minister must also answer, given his assurance that his Ministry is "open to transparency", why the Government is unwilling to set up a Parliament Oversight Committee to review and monitor defence expenditure. If the Ministry is not even willing to subject himself to oversight by the Parliament, the country's highest legislative body, then Dato Seri Zahid Hamidi has no right to talk about "transparency". The "Walk-Out" - was it right or was it wrong? I've received plenty of emails, tweets and questions during meetings asking about the Pakatan Rakyat "walk-out" during the passing of the Peaceful Assemblly Bill 2011 debate in parliament earlier in December. Without going into the merits of the walkout, perhaps its better for me to explain what happened that day and the parliamentary process. This will at the very least clarify some of the misinformation doing its rounds and give you a clearer picture of what actually happened. 1. Pakatan Rakyat was given only 3 speakers to speak. Hence only 1 rep from each party. The top leaders spoke - about 20 min each - Anwar, Kit Siang and Hadi. So we all spoke and all the points the civil society and the Bar Council raised were all raised in parliament. You can check the speeches in the Hansard which can be downloaded from the www.parlimen.gov.my website. No more speakers were allowed and the Speaker dictates the order in parliament. 2. There is no room for amendments at all. Full stop. BN had no intent on incorporating any of the proposals by Pakatan or others into the Act. For everyone's information, it has never happened in the history of Malaysian parliament where any single amendment proposals or motions by the opposition were adopted. The parliament will and can pass any law tabled by the BN govt with sheer brute majority. The only exception is that the constitution can only be amended with 2/3 majority which we have denied. For the 1st time in recent history, there were no constitutional amendments proposed during the current term. Hence aside from the above, the Parliament is a "rubber stamp" due to BN majority and the exercise of the Whip who controls all their MPs votes. 3. Hence the only difference was the "voting" being carried out in our presence or absence. The outcome is already a forgone conclusion. It makes absolutely no practical purpose to stay and vote because the BN MPs are out in force to ensure the bill's passage. Finally, again without judging whether we should have walked out or not - we walked out only after we have exhausted all practical channels to reject or amend the bill, and after it was made absolutely clear from BN's side that they have no intent to make any changes to the bill. We walked out to protest the "tyranny of majority" by BN in parliament and their refusal to accede to the voice of the people, especially to set up a parliamentary select committee on PAB. It made a mockery of the parliamentary institution which we were not willing to take part in. Hope the above makes it clearer on the situation. But as I've mentioned many times during Q&A sessions during townhalls and forums, the public backlash as a result of the walkout, whether justified or otherwise will certainly make Pakatan MPs think twice about such moves in the future. This is because perception of the walkout, regardless of whether it is misinformed or actual, is what matters most at the very end of the day. On February 5th this year, Defence Minister Dato' Seri Zahid Hamidi announced that the Government has approved RM6 billion for the Royal Malaysian Navy to acquire 6 second generation patrol vessels to be built by Boustead Naval Shipyards. The LCS is indeed a technologically advanced patrol vessel currently only acquired and deployed by the United States (US) in the world. The US owns 2 of these ships - USS Independence and USS Freedom while Malaysia is seeking to acquire 6 of these LCS. While the price of the ships was not "final" in February, it has come as a shock when Boustead announced on Bursa Malaysia that the contract which was just signed last week is now valued at RM9 billion or 50% higher that what was approved earlier this year by the Government. The Minister must explain why has the price for each ship increased by RM500 million or RM3 billion in total for the 6 ships suddenly, well above the original approved budget. For example, has the specification for the ships been "improved" further since Dato' Seri Zahid's reply in Parliament - which was then already the most technologically advanced patrol vessel - which justified the whopping increase in price? Boustead Naval Shipyard, previously known as PSC Naval Dockyards which delivered the previous 6 naval patrol vessels at RM6.75 billion or 26.2% above the original contract price of RM5.35 billion. The ships were also delivered only after a 2 year delay and hundreds of defects. In the 2006 Auditor-General Report, the Ministry of Defence was faulted for the dubious award of contract to an obviously unqualified contractor, the failure of technical and financial management, hefty illegitimate contract price increases, undocumented and overpayment, unjustifiable waiver of penalties, and a complete failure of ministry oversight. The Defence Ministry was then headed by Datuk Seri Najib Razak. Such a track record does not give Malaysians any amount of confidence that history will not repeat itself. With such a rapid increase in budget by RM3 billion before even the start of construction of these ships, can the current Defence Minister assure Malaysians that these ships will not suffer the same disgraceful fate as the earlier ships? As Defence expenditure in Malaysia remains highly opaque, with Malaysia ranked "medium to low" in transparency by Transparency International, we continue to call for a Parliamentary Oversight Committee to review and approve defence expenditure as practiced in all developed countries. The expenditure involved billions of ringgit in acquisitions annually, hence the sheer lack of transparency leads only to poor accountability, and more often than not, massive leakages and over-spending. These leakages must be plugged to ensure that the country doesn't become bankrupt by 2019 as speculated by Minister in Prime Minister's Department, Datuk Idris Jala. 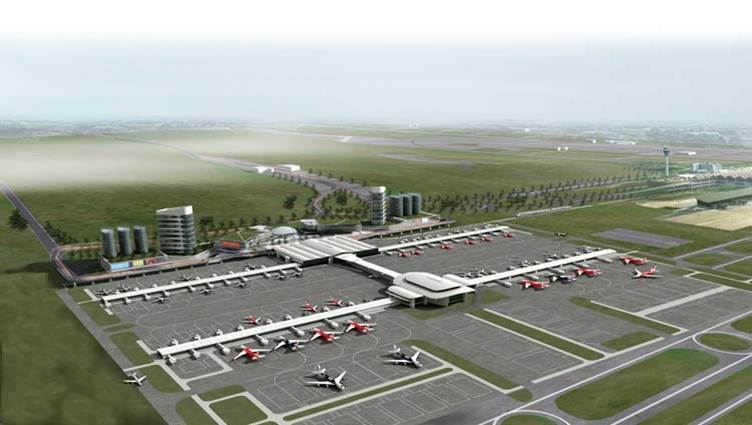 Why was KLIA2 moved to a soft soil site? Why was a new masterplan drawn up in 2008 for the expansion of the low-cost carrier airport (KLIA2), resulting in the airport being built on soft soil, when an earlier plan circumvented this problem? This question lies at the heart of the current outcry over the ballooning cost of the airport from an estimated RM1.7 billion to up to RM3.6 billion today. Referring to the KL International Airport Masterplan 1992, Petaling Jaya Utara MP Tony Pua (left) said today the move also remained the main cause of the construction deadline for KLIA2 to be extended from September 2011 to April 2013. "The transport minister and Malaysia Airports Holdings Bhd must answer why they made a hard-to-fathom move to the new site. This is the reason the cost went up by more than RM2 billion," Pua said. According to the 1992 plan, the current construction site of KLIA2 "mainly comprises saturated marine clay with an overlay of peat material, which varies in thickness from two to three metres". "It has poor load bearing qualities and is not suitable for airport construction without undertaking significant engineering measures... which include improved drainage, removal of the peat layer and the introduction of fill material with good load bearing qualities (a minimum of three metres deep)," Pua said, quoting from the report. The earthworks required to make the site suitable, he said, cost an estimated RM1.2 billion. This could have been saved if the 1992 masterplan, drawn up by Anglo-Japanese Airport Corporation Bhd, had been followed and the KLIA2 had been built on the original hard land area marked out. The area marked out in the 1992 plan is a hilly area, which had already been prepared during the construction of the main terminal (KLIA) at the time. A third runway, estimated to cost RM270 million, has to be constructed as the new site would not allow KLIA and KLIA2 to share two runways. However, the third runway will also need to be built on soft soil, raising questions as to when it will be ready. "Airlines would not want to move to KLIA2 if they have to taxi longer in order to use KLIA's runways," Pua said. A second control tower, estimated to cost RM500 million, needs to be constructed as KLIA's tower would not be able to see some parts of the third runway. The 1992 plan had both terminals sharing the same tower. "This would make it the first modern airport, built after the 1960s, with two control towers within two kilometres of each other," Pua said. While conceding that he was not an expert in the field, Pua said an engineering expert who was consulted had said the deadline of April 2013 was "iffy" at best, mainly due to the poor soil. In comparison, he said, the current low-cost carrier terminal (LCCT) had cost RM232 million and had taken about 15 months to construct, including upgrades. "Of course it's not fair as (KLIA2) would have a third runway, etc, but it gives a comparison of contrast in cost from the new airport and the current terminal. The current one was built in budget fashion, the new one is as good as a premium terminal. "We are not disputing the need to move to a bigger terminal as the LCCT is close to capacity. Nor do we mind shifting the location, but not at such a ballooning cost," Pua said. LCCT currently caters to 15.4 million passengers, 400,000 more than its capacity.